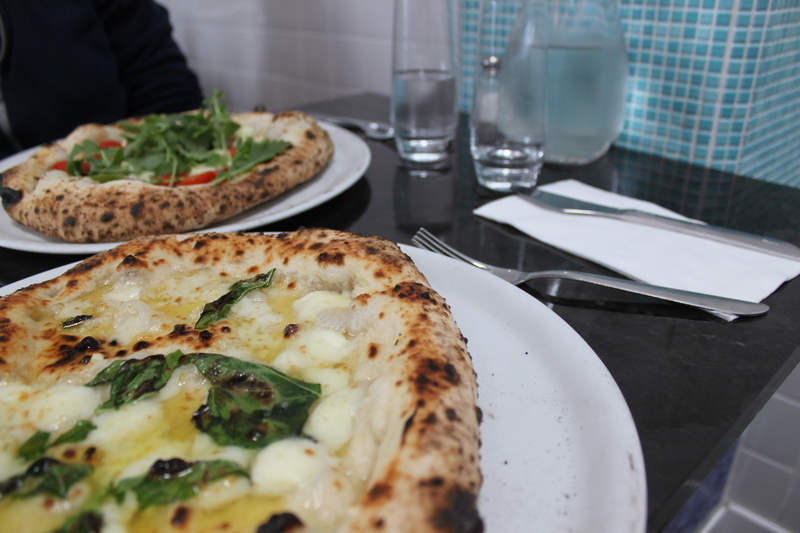 Una Pizza Napoletana is not your typical restaurant. The exterior and interior do not look particularly welcoming. 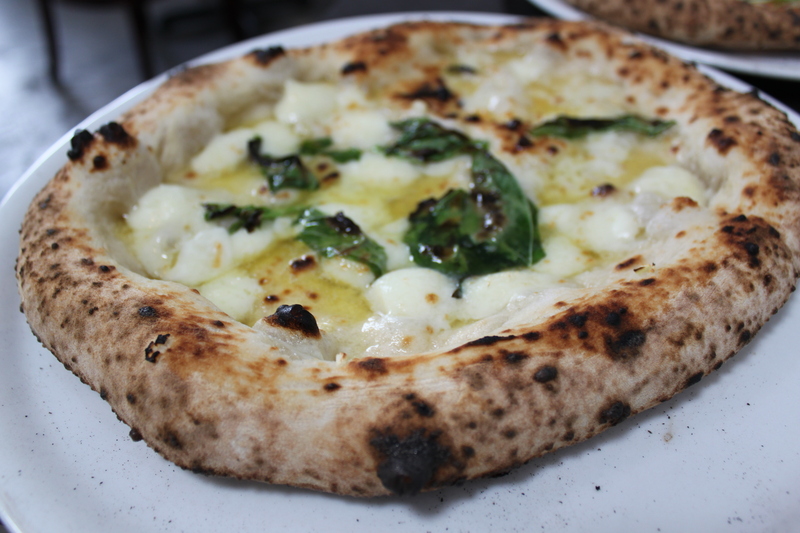 The menu only has pizza – and only five (or six, on Saturdays) kinds of similar, simple pizzas. Each pizza is $22. 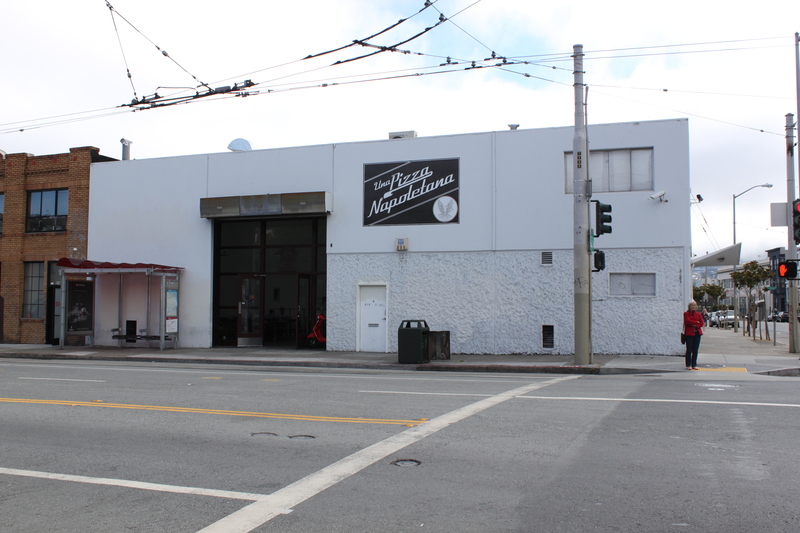 The hours are also non-conventional; they open at 5 PM and close when they are out of dough. With the first bite of dough in my mouth, I knew that I had gone to pizza heaven. 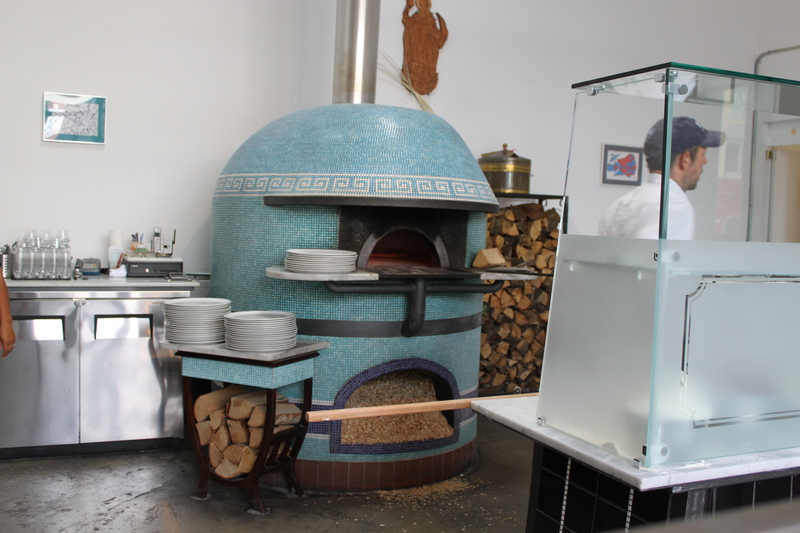 The pizzas are baked in this oven, which does not look like your conventional pizza oven either. Anthony Mangieri makes the pizza dough, forms it into pizzas, tops them with fresh ingredients, and bakes them himself. Talk about a one-man show. The dough is made using natural leavening, and my first bite revealed the fluffy, chewy, glorious-ness that is Una Pizza crust. The texture is indescribable. The crust is soft to the touch. The crust is also flavorful and salted, but by no means overpowering. I would come here even for a pizza without any toppings. Just pizza dough. 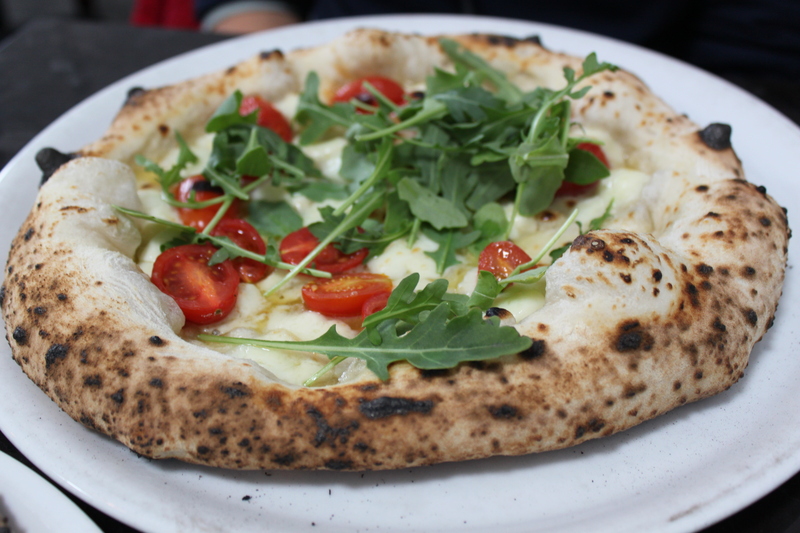 The Ilaria – smoked mozzarella, fresh cherry tomatoes, arugula, extra-virgin olive oil, sea salt (fresh tomatoes, no sauce). The combination of the smoked mozzarella and the charred bottom of the pizza gave the Ilaria an unmistakable smoky taste that was cut by the refreshing cherry tomatoes. There are rumors that Mangieri may be moving, and this establishment would not exist without him. I hope not, this is my new favorite pizza place. citit ora exacta pana acum!